London Fashion Week is over, and I was pleased to see an abundance of stylish flat shoes not only on the feet of fashion editors who had decided to opt for a comfortable way to dash between the shows, but on the catwalks themselves too. J.JS Lee, above, always shows great flat shoes; it’s what caught my eye about her designs at the first show I saw a few seasons ago. They are always clean and minimal in white, black or grey. 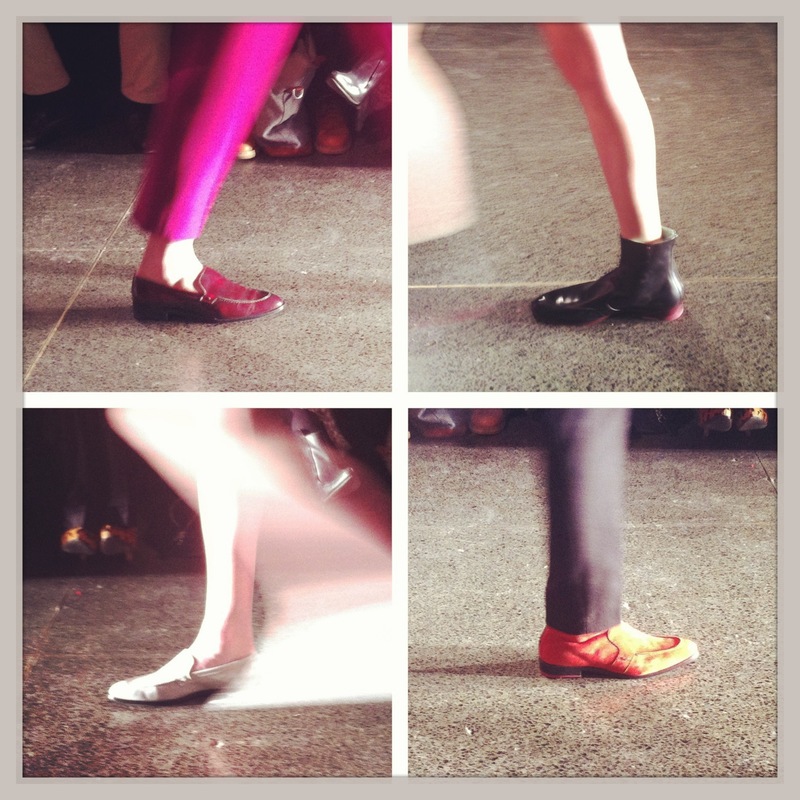 Paul Smith’s show too is always a hotbed of gorgeous loafers and ankle boots, and the AW13 collection did not disappoint. You can’t see from this shot but the ankle boots had a zip up the back. I love little details like that. Simone Rocha is one of the hot young names on the London Fashion Week circuit (she is also John Rocha’s daughter, so fashion design must be in the genes). 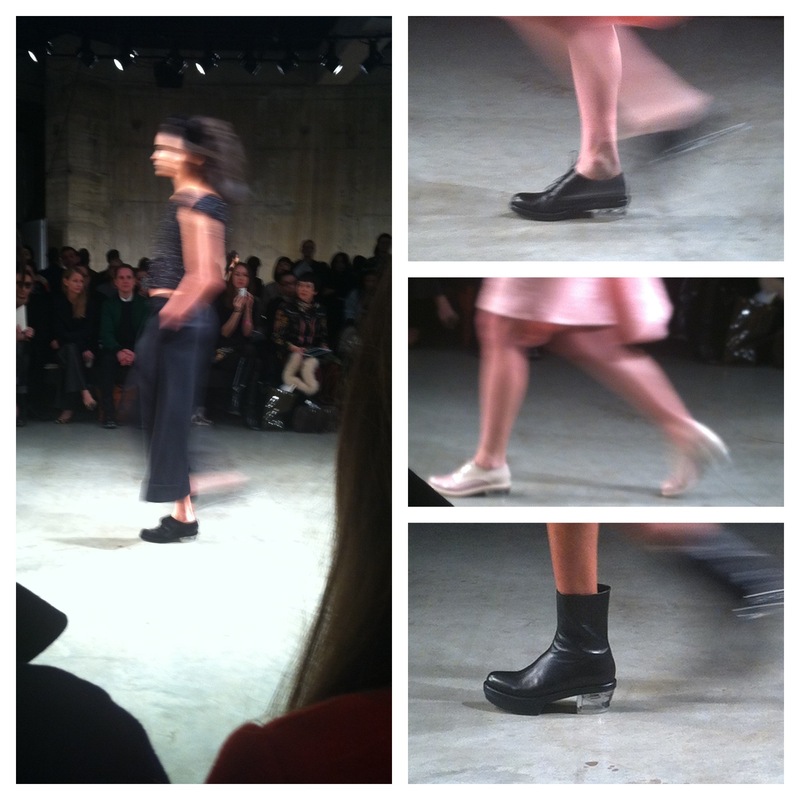 The whole collection was lovely, and I particularly liked the perspex low heels on the shoes and boots. Expect to see copycats on a high street near you soon. And it wasn’t just the expected designers who showed flat shoes either. 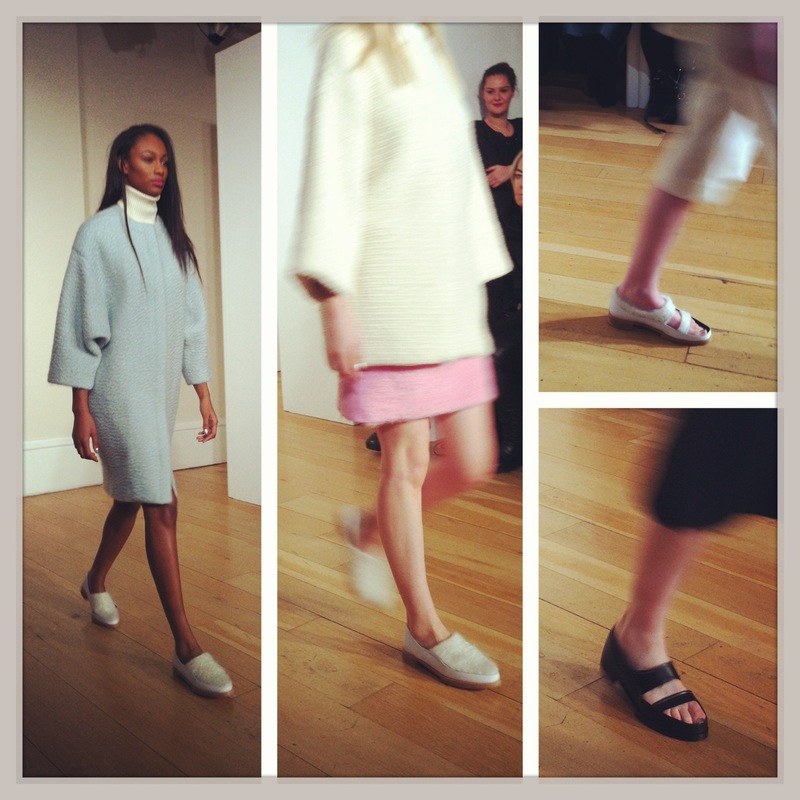 Christopher Kane, Erdem and Burberry all showed flat (or virtually flat) shoes in their collections. Burberry didn’t use anything other than these mini wedges, and super-chic they looked too. I don’t expect to see this trend continue at Milan Fashion Week (particular with regards to what the fashion editors are wearing!) but watch this space as I will be reporting back next week.